The Citizenship Bill of 2016,which considers the citizenship of six minority groups from Afganistan,Pakistan and Bangladesh will be presented in Rajya Sabha today amidst the strong protests in the northeast against it. Home Minister Rajnath Singh will present the bill in Rajya Sabha. 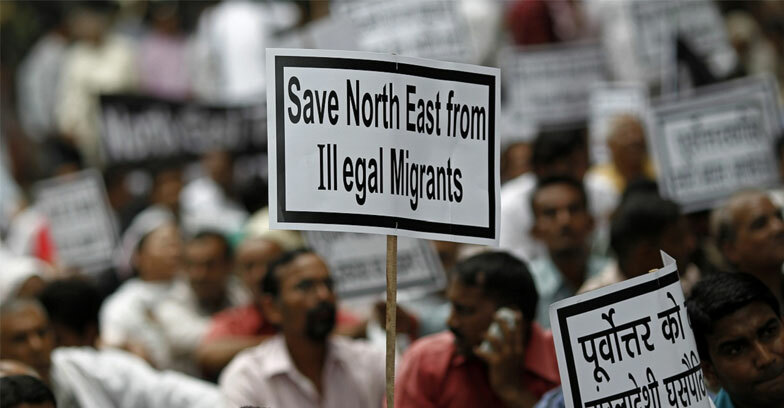 The northeast states including Assam,Mizoram,Manipur and Meghalaya have many protesters since the bill presented in the ok Sabha in January. n the other hand,PM Narendra Modi assured to safeguard the interests of northeast people during a rally in Assam last week. “BJP is committed to protecting the culture and resources of Assam and the northeast. The Clause 6, which is the soul of Assam Accord, has remained unimplemented for the last 35 years and our government will implement it in letter and spirit,”He said.